It can be hard to look for pet-friendly accommodations at popular beach resorts but there are definitely some Boracay hotels that allow pets. If you are bringing your canine along with you for a Boracay beach vacation, consider learning ways to keep your dog safe from too much heat. Warm temperatures can threaten your dog’s health. Find a shady area under a beach umbrella or trees where your dog can retreat from the sun’s rays and direct heat. Keep your pet hydrated. Place a water bowl nearby which you should constantly refill with fresh cool water. The hot sand can also scorch your dog’s paws. 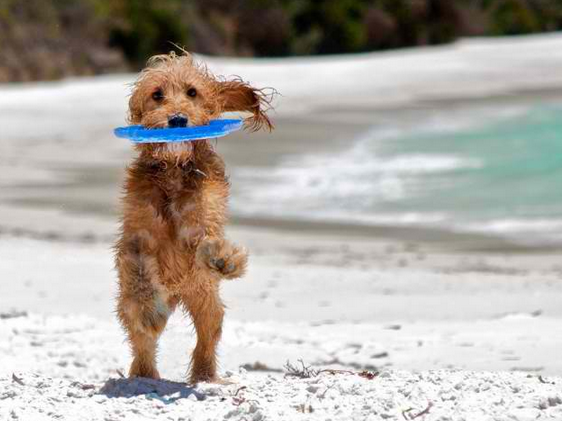 Provide a beach towel for your pet to protect your canine from the hot sand. Dog breeds with short snouts (Boston terriers, English bulldogs, pugs, shih tzus, and boxers) are known to overheat faster than canines with longer snouts. There are a few animal clinics on the island and you should take your canine to Rebadulla Animal Clinic or Shoreline Animal Clinic if you suspect that your pet is suffering from dehydration or overheating. Before coming to the island with your pet, consider checking out pet friendly Boracay hotels. There are budget Boracay hotels that allow dogs and some high-end accommodations that also welcome pets. Dog must be kept on a lead in Boracay Island. Owners must also clean up after their pets.